Workers' compensation is a statuary law which allows workers who are injured in an accident which arises out of and in the course of their employment to recover for lost time, medical expenses and permanent injuries in a manner which does not involve the normal court system. The law is administered by the Illinois Workers' Compensation Commission which is the State agency where the claim is filed. What benefits are payable under Workers' Compensation? The law provides for payment of all medical expenses which includes all hospitals, doctors, medications and physical therapy. It provides temporary total or temporary partial benefits when you are off of work or not able to do your regular job in an amount which are based upon your average weekly wage for the year prior to your injury. In some cases vocational rehabilitation can be provided. The law further compensates you for your permanent disability whether it be for specific damage to your body, the inability to earn as much as you did in your old job or the inability to return to any gainful employment. In some cases, there is payment for serious and permanent disfigurement. Are benefits payable for death on the job? Yes. If a death occurs as a result of a compensable work connected injury either directly from the accident or as a result of medical complications in treating an injury, death benefits are paid to survivors in a matter set forth in the Workers' Compensation Act. Yes. In most cases, you do not have to be treated by the company's selected physician but you are limited to two selections on your own. If a doctor which you select refers you to another doctor that is not considered another choice. You will be liable for all medical expenses incurred after your second choice unless approved in advance by the company or their insurance carrier. There is an exception to the two choice rule. In rare cases when an employer utilizes a Preferred Provider Program you may only have one choice. If I had a pre-existing condition and then had an injury, can I still collect Workers' Compensation benefits? Yes. If a compensable injury aggravates or accelerates a pre-existing condition or if the injury is superimposed upon that condition, benefits will be payable. Are injuries or death as a result of a heart attack or stroke compensable? Yes, in some cases. If unusual stress of the work can be shown to be a causative factor of the heart attack or stroke, benefits will be payable. If Workers' Compensation is for accidents on the job, how can I collect compensation for problems caused by repetitive motions such as carpal tunnel syndrome? "Accident" is a legal term which does not necessarily mean that you fell or were hit by something. In workers' compensation, an accident can be defined as a sudden onset of symptoms. In repetitive trauma cases, the date of accident would be when you felt the pain or when the body broke down. If someone else was at fault, can I still receive workers' compensation? Yes. You would have two separate cases. One against your employer for workers' compensation and a second case in the regular court system against the "third party" who caused the injury. However, your employer has a right to recoup any monies spent in the compensation case before anything goes to you in the "third party" case. Legally, you do not need a lawyer. If you are versed in all benefits which are available to you, including the ramifications and the determination of any final settlement and feel that your knowledge of the law is as great as the person in Human Resources or at the insurance company, then no representation is necessary. If you want to be on equal footing with the insurance company, then you should retain legal counsel. If you have filed an Application before the Illinois Workers' Compensation Commission, then an attorney would be desirable to properly present the case before the Illinois Workers' Compensation Commission. 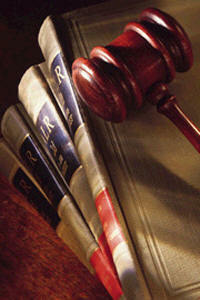 Realistically, most people benefit from hiring an attorney. Remember what a wise old attorney once said, "It's easier to stay out of trouble then it is to get out of trouble".